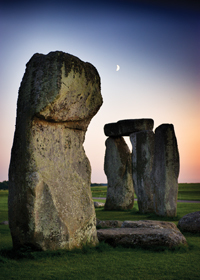 Stonehenge is a beautiful and culturally important landmark for British Tourism. Standing at the centre of a field in Wiltshire, it draws thousands of visitors a year from all around the world. It is an icon of intrigue, early architecture and historical ceremony.